Where in Great Malvern can you see tiny fragments of fossilized shells? Whose grave reads ‘A dear and good child’? Why was the Worm built? Who was ‘Royal Moses’? The answers to these questions and many others are to be answered by the creation of a special heritage trail. 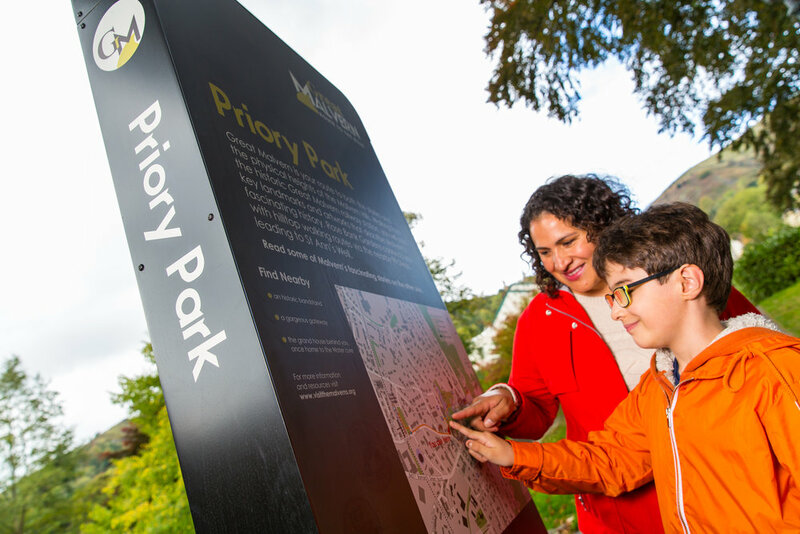 Great Malvern: The Route to the Hills offers a new way to explore Great Malvern, guiding people through the town and showcasing its heritage highlights through a series of bespoke plaques, artwork and signage. The route runs from Great Malvern station westwards through the town centre and up onto the Malvern Hills via Rose Bank Gardens. 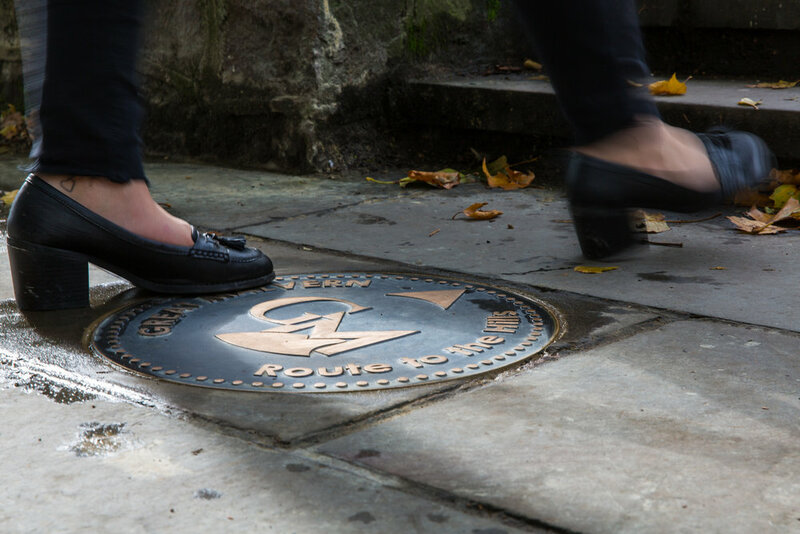 Whilst you’re on the hunt for these quirky benches, see if you can spot any of the fun little studs that appear randomly in the pavement along the route helping to define the way. If you are interested in learning what the studs are or how they link to Malvern, look at the image to the right! 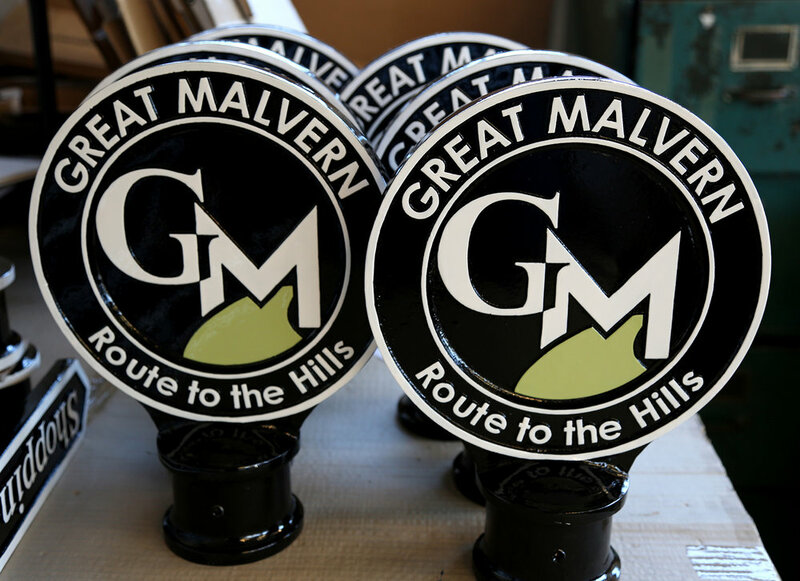 There is still much to do and Great Malvern: Route to the Hills is not due to be officially launched until spring 2018, but hopefully, you won’t get lost since the fingerposts have also been refurbished and now all include a ‘To the hills’ pointer. However keep your eyes open for more emerging features such as the plaques on historic buildings and a series of uniquely Malvern creative commissions. The Route to the Hills is marching forward!